Reported from, Jubi - Department of Sports and Youth (Disorda) Papua sends nine athletes of the Center for Student Education and Training (PPLP) to join the Taekwondo Malaysia Open Championship 2018, taking place on 9-12th August 2018. Ninth taekwondoin PPLP Papua each Marshall Firman Bisay, Javier Ethan Padangga, Julius Mario Sormudy, Brando Taraudu, Maximianus Alun Wicaksono, Rebeca Marlinza Naa, Charina Lasaole, Anatasya Numbery and Valeria Djenar Wulandaru. Fachril said the participation of Papuan athletes at this championship as well as the preparation of National Championships (Kejurnas) between PPLP / SKO in Indonesia in September in Lombok, West Nusa Tenggara. Taekwondo athletes are prepared for the cadets category of men's class U-37 kg, junior men with men's class U-45 kg, U-48 kg, U-55 kg, U-68 kg. U-42 kg junior daughter class, U-49 kg and U-68 kg. Various preparations such as physical endurance and all athletes to maintain health and stamina. Secretary Disorda Papua, Idris Salama added, athletes taekwondo participate in the international event is one opportunity as well as flying hours before appearing in PPLP Kerjurnas. "Preparation has been done with a mature and optimistic guided children will be able to show off in the international arena," he said. 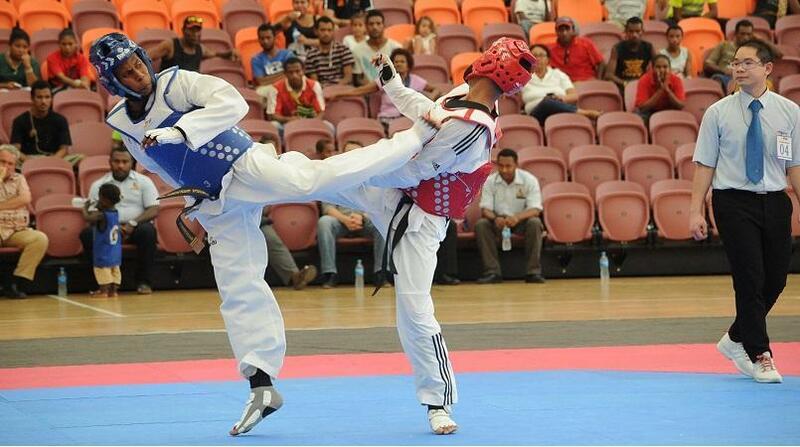 The PPLP last year's taekwondo event in Manado, North Sulawesi, Papua successfully contributed two bronze medals. "Hopefully after joining the Malaysia Open, Papuan athletes can achieve achievement in PPLP National Championship and become the mainstay of Papua in the National Sports Week 2020,"